Just like the bullets are dangerous, the same things happens with sharp objects as knifes. They are quite risky because sometimes the attacker can stab the torso area, a place where important organs of the body are situated. Alongside bulletproof vests, one should also consider anti-stab vest to ensure that they are safe all round. Other people know these vests as stab resistant vests. These tactical vest will ensure that you are fully protected against stabs while you are carrying out your job or operation. It is also vital to note that these vests are also rated and the best ones have always been the ones that have undergone through NIJ and certified. The most common anti-stabs are rated as level I and II. Their capability is as a result of their levels, for instance, level II provide higher protection than level I. 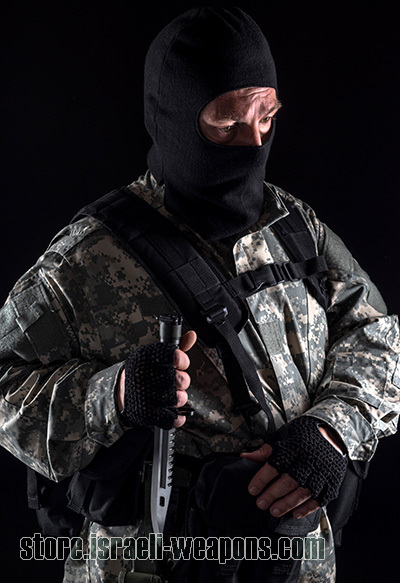 There bulletproof vests that also have anti-stab protection, this can be achieved by adding anti-stab panels (this is handy when you already have bulletproof vest but you want to add anti-stab protection to it), or you can buy news bulletproof vest that made from ballistic material that also have stab resistant capability. These vest that are bullet resistant and stab resistant can be comfortable, soft and easy to move around in. There is no doubt that people who are working in prison, military (as military police) as well as policemen are likely to be attacked from different threats. Sometimes it is advised always to have these anti-stab and bullet resistant products to be on a safe side. Do not mistake an anti-stab for bullet proof protection this is because if you wear the anti-stab alone without a bullet proof protection you will not be protected against ballistic hit. This is because specific body armor protects against what it should, and not against other threats, make sure you order the right vest for your protection. The anti-stab vests come in different weight and different flexibility. They can come in weight of range from one to three kilograms.